First and foremost and yes this will be in capital letters and bold typeface because it is important. IN ORDER TO CAMP IN PUERTO RICO, YOU MUST APPLY A MINIMUM OF 10 DAYS PRIOR TO YOUR ARRIVAL DATE. This is really important because you just can’t land in San Juan and head out and camp out anywhere because you will get fined very easily or worse- drive all day just to come to a campsite that has it’s gates locked and you have nowhere to go. In order to camp in Puerto Rico, you definitely have to preplan your trip and logistics. There’s a process that’s involved, and yes, it’s a bit of an adventure in and of itself because the websites are all in spanish and more than likely the person you will call on the phone probably only speaks spanish. So keep this in mind and try not to get frustrated. Patience is the key, and isn’t that what camping teaches us anyways? Here’s the breakdown as detailed as we can. Camping has been thoroughly mentioned in other sections throughout this book (North Shore Sights, East Shore, Adventure Days etc), but we’re going to list everything in one spot and by region to help you with logistics. If you see our Cordillera Central chapter of the book you will find the detailed logistics to have a 3/4 day trip along the mountains of Puerto Rico on a camping expedition along “La Ruta Panorámica” or Panoramic Route of Puerto Rico where you can spend a night each night camping in some of the best spots on the island. If you’re truly adventurous and plan on camping on your own in areas that are not designated as “official” we truly believe you’re taking an unnecessary risk. Sure you can pull it off on one of the beautiful natural beaches (especially in the Northeast) and you can enjoy a great sunset and sunrise, however you’re also running the risk and prime area for thieves and you’re going to make very easy targets. We highly recommend doing it legally, and there are absolutely great facilities around the island in all sorts of landscapes and most importantly you will feel safe and secure in these areas. Did we say you have to call ahead at least 10 days prior? We would say at least 20 just to ensure you get through on the phone and have enough time to submit your applications to obtain the permits. It’s not an easy process by far, and we certainly hope it improves in the future. 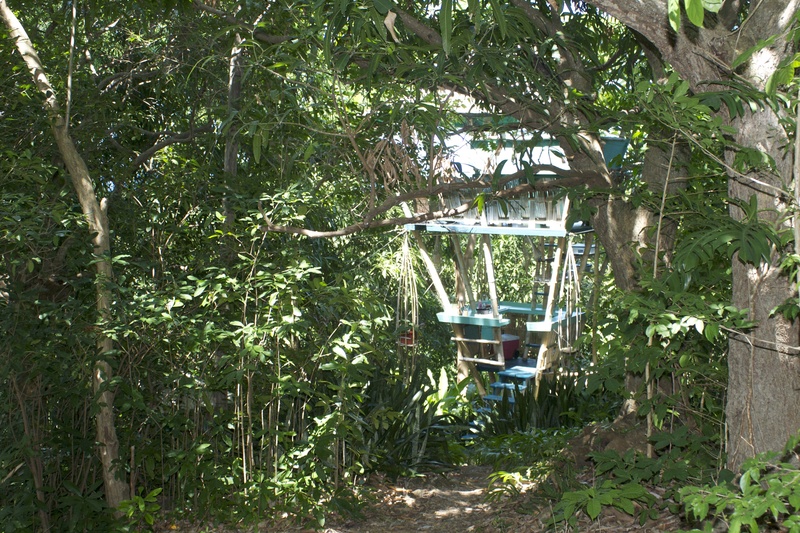 Camping in Puerto Rico is basically divided into two groups that are run by the government. 2. Let them know the dates you are considering and which specific campsites. Usually you will have to leave this information without any confirmation for a couple of days. 3. DRNA looks at their system to ensure there is space. They contact you a day or two later. (Paitence guys, they will soon accept this process online and without you needing to physically go to their offices to pick up the permits). 4. After they confirm dates and campsites, you have 5 business days to physically give them the filled out application (link above), as well as give them the payment – in order to receive the official permit. 5. Go to their Physical Address to make it all happen: (For tourists and travelers that want to camp, we seriously encourage you to use our services). The second group that runs campsites (and vacation rentals!) is the National Parks of Puerto Rico. They offer 8 different camping areas mostly located along the coast and on beaches, as well as a couple of our favorites in the mountains. The National Parks of Puerto Rico has an easier process in the sense that each of the campsites administers their own permits, so you would have to call each one independently and show up the day you reserved. They also offer what they call “vacation centers” that feature cabins and really nice facilities and amenities if you don’t want to tent camp. See the end of this section for their information on vacation centers. 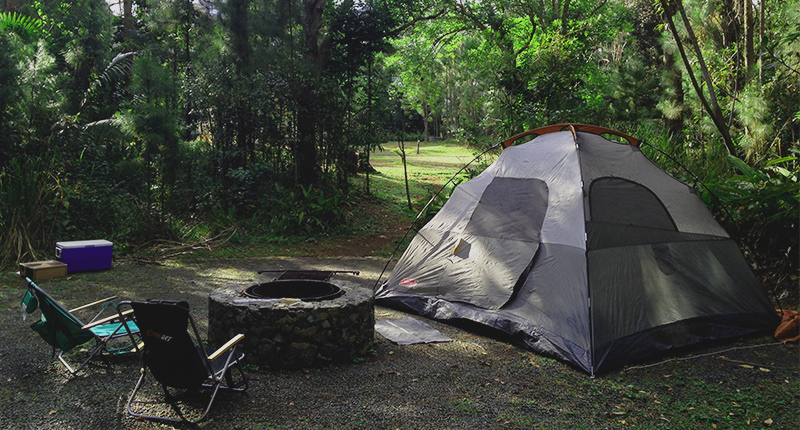 We prefer tent camping, and here are the list of natural campsites the National Parks of Puerto Rico maintains. Please See Camping Part 2 Article!